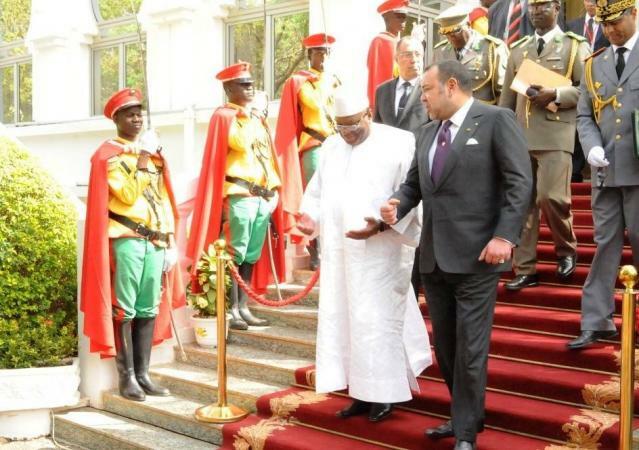 Home Politics Morocco-Mali: How has the Kingdom’s Africa Agenda Done So Far? 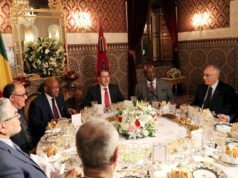 Rabat - On Thursday last week, an important governmental delegation from Mali, led by Prime Minister Soumeylou Boubeye Maiga, paid a visit to Morocco. The visit was meant to strengthen bilateral ties between the two countries, and boost exchanges on various fronts. Rabat – On Thursday last week, an important governmental delegation from Mali, led by Prime Minister Soumeylou Boubeye Maiga, paid a visit to Morocco. The visit was meant to strengthen bilateral ties between the two countries, and boost exchanges on various fronts. 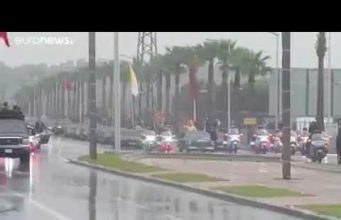 According to reports, both in Malian and Moroccan news agencies, the visit was seen as “an event”, especially as King Mohammed VI honored his Malian hosts with an ultimate state reception program, including an impressive military parade by the Royal Air Forces and a dinner at the Royal Palace. But beyond these diplomatic formalities, this “friendship and working visit” had something much more important to it: It reflected the relentless efforts that Morocco’s diplomacy has made in recent years. In other words, spurred by the pragmatism and deal-striking abilities of King Mohammed VI, the country is but reaping what it sowed, or has been sowing, or is sowing right now. Plainly put, one of the lessons one gets from King Mohammed’s own investment in reconfiguring Moroccan diplomacy is this: the unrelenting pursuit of diplomatic perfection never disappoints. Which brings me back to the core of Malian Prime Minister’s visit to Morocco: signing strategic agreements in many sectors, promoting Morocco’s Africa initiative, furthering the two countries’ bilateral ties. On top of all, however, Mali, which is terribly suffering from the chaos in the Sahel Terror Corridor, is seeking partners that can help the country dismantle the deep-seated jihadist ideology in its northern provinces. And Morocco, whose military proved itself on many fronts in the continent, is a reliable and able partner to turn to. Speaking on the sidelines of his official visit, Malian PM called for a regional action to face the mounting threats in the Sahel region, adding that Morocco, with its expertise and proven abilities, would be a plus to Mali’s security agenda. Maiga did not, however, confine his visit to security matters: logistics, transports, water development, employment, and education (professional trainings, especially) were also an important part of the agreements signed during the visit. 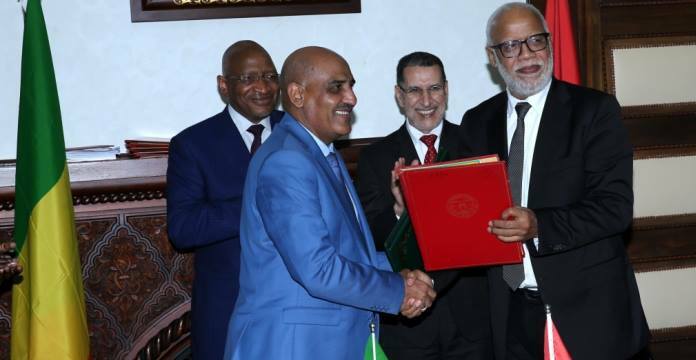 “An agreement on international road transport of passengers and goods was signed by minister of Equipment, Transport, Logistics and Water, Abdelkader Amara, and Malian minister of Transport, Moulaye Ahmed Boubacar,” MAP reported on March 8. In the water development sector, for example, Mali’s PM paid a visit to the Bou Regreg site in western Morocco, a visit that prompted him to ask Moroccan officials to help his government transform and design the Niger River site in the image of Bou Regreg. His request received a positive answer, with a team of Moroccan water engineers set to pay a working visit to Mali in mid-May this year. But all this, ultimately, seems to be beside the point. 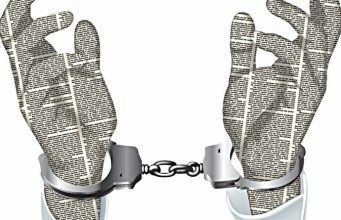 Instead, the overall point here is this: the “fire and fury” of the Kingdom’s new diplomatic guidelines, which is a byproduct of King Mohammed’s Africa-Africa initiative, has transformed the country into an essential player that can no longer be sniffed at, especially in the fuzzy landscape of African politics. From its re-admission to the African Union to its election to AU’s Peace and Security Council, not to mention the King’s insistence on embracing and promoting the kingdom’s Africanness, Morocco has succeeded, in a remarkably short span, to challenge Algeria’s hitherto stranglehold on the Sahara question inside the most strategic body of the AU: the AU Peace and Security Council. In essence, then, whereas Morocco needs considerable African support to further its Sahara Plan, most sub-Saharan states, especially the French speaking ones, need the Kingdom’s expertise and development model. I had the chance, last Sunday, to participate, as a speaker, in a conference organized by an association of African students in Settat, a small city an hour’s drive from Casablanca. At the conference, we spoke of Panafricanism and all the “isms” often associated with the continent. We were four speakers to be invited, and despite the obviously diverging and sometimes conflicting perspectives we brought to the table, we all seemed convince that Africa can still make it, that the continent’s vibrant and dynamic youth has not yet said its last words. I even called upon the marvel movie ‘Black Panther’, suggesting to my audience that beyond the symbolism of the narrative, there is a genuine belief in the continent’s existing transformative potentials. I answered in my traditional way: give a five-minute talk on African social scientists and novelists who “have remarkably addressed these issues”, cite names and books to follow. A thunderous supportive noise filled the room. Another speaker from Senegal, spoke of “Morocco as an answer to the question.” He hailed the kingdom’s security, transport industry, education, and what have you. Considering Morocco’s investments in many such countries, the number of scholarships the kingdom provides to students from many of the said countries, in addition to the enormous agricultural program being run by OCP Africa, all indicators seem to suggest that my Senegalese fellow is right, which is probably why he got an uproarious ovation at the conference. 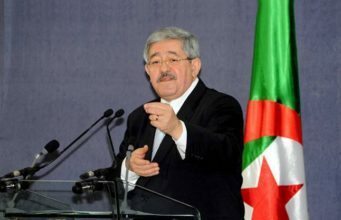 The foundation of Morocco-Africa is after all an investment in South-South cooperation, or “Africa trusting Africa”, as one of the Moroccan officials said while commenting on the “meaning” of Malian PM’s visit. But the conclusion that Morocco has won the battle, that it has already converted hearts and minds, would be grossly misleading. 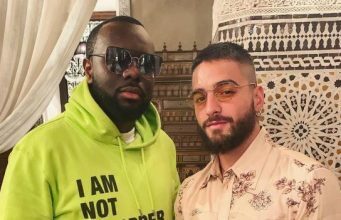 Many in the continent still look at the Kingdom’s with reluctance and suspicion: the old myth that Morocco arrogantly acts towards sub-Saharan Africa like its backyard is still dominant in some African circles. 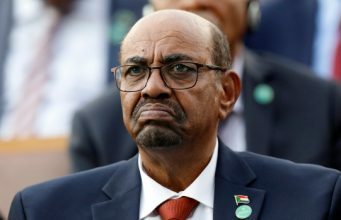 Now King Mohammed has made enormous efforts to dispel that long-standing myth and show the sincerity and genuineness of his Africa agenda. 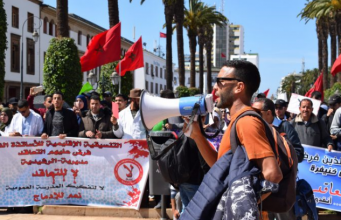 It is now time that Moroccan ministers and high-ranking officials replicate the king’s move: deal squarely and considerately with sub-Saharan counterparts, because only then can Morocco hope to get the support it so badly wants on its Sahara position.